Upon arrival, third country citizens must proceed with the registration at the appropriate District Office of the Aliens and Immigration Unit of the Police, or the Central Offices of the Civil Registry and Migration Department in Nicosia, within 7 days of their arrival..
Also, Biometric data, such as finger prints and passport photos are collected. Applications for issuance of Entry and Employment Permit must be submitted by the employer, to the Civil Registry and Migration Department through the appropriate District Office of the Aliens and Immigration Unit of the Police or at the Central Offices of the Civil Registry and Migration Department in Nicosia. Highly skilled personnel employed in companies with substantial annual turnover. 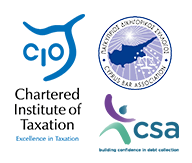 Executive directors, middle-management staff, executive staff and other key personnel working in companies of foreign interests (requires at least 50% of the company’s share capital to belong to a non-Cyprus citizen or, its’ direct foreign capital investment to be at least €171.000) – minimum salary requirements apply. Qualified nurses, registered in Cyprus for the practice of such nurse profession. Athletes and coaches of individual or team sports. Our firm will help you obtain all necessary documentation, including the relevant application forms, and other required accompanied documentation, such as a clean criminal record certificate, a medical certificate, a bank letter of guarantee, a passport copy and a signed contract of employment. We are also able to assist you with renewing your work permit as and when this is required..